Hey now, Levy Market has its very own beer! To celebrate our 5th Birthday, we’ve teamed up with the beer geniuses at Thirst Class Ale in Stockport to brew up a very special new beer. Introducing 5 Beers Old, a gorgeous Vienna Pale Ale made using Vienna malt with US hops: Simcoe, Citra and Amarillo. Beer fans, get excited! It’s a limited edition 5% ale and won’t be around for ever, so make sure you hotfoot it to the market on Saturday to be one of the first to try it. 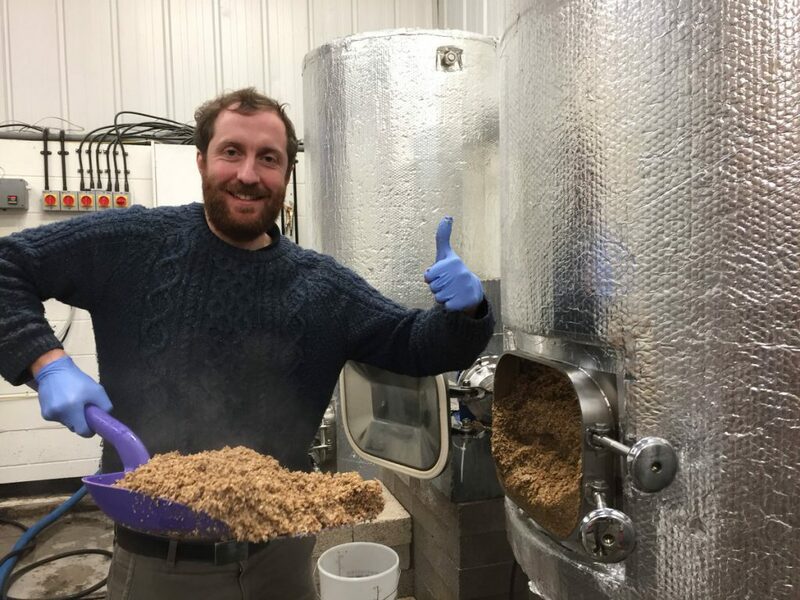 Thirst Class Ale, a microbrewery based in Stockport, has a mission to brew interesting beers to be enjoyed by interesting people in interesting places. Richard and the team invited Levy Market, including our Director Amanda Finch (along with Chris Buxton, co-owner of Station Hop shown here getting stuck into the brewing) to their brewery back in February. We had a fantastic day mashing and getting involved in all the other magic that goes into making a quality beer. 5 Beers Old will be available for supping for the very first time on Saturday 7th April, from the Levy Market Bar at Levenshulme Market between 10am-4pm where it will officially launch. 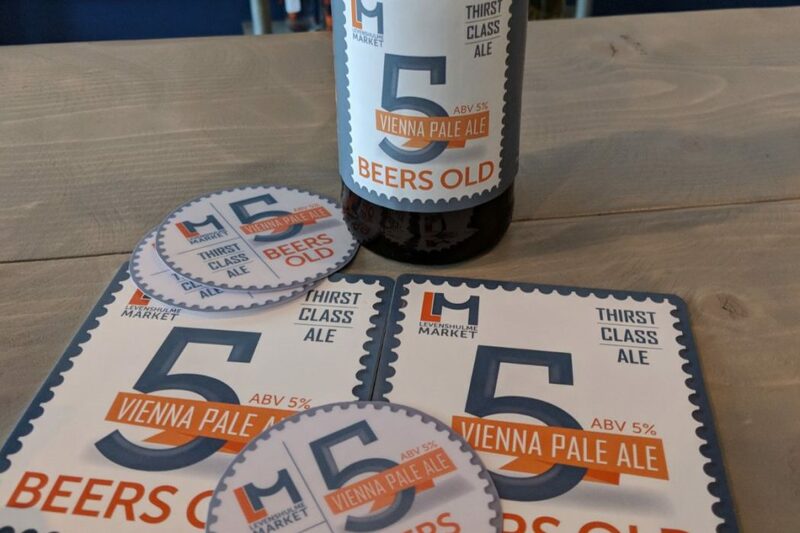 Keen beer fans heading to Station Hop after the market can also enjoy the Vienna pale ale there, as well as in beer-loving venues throughout Manchester. Even better, while you enjoy your pint, you’ll get that lovely feeling that you’ve done some good too. 5p of every 5 Beers Old sold will go into a Social Impact Fund, for use in a project in the next couple of years to help the local community.